The Follow Spot – My hobby, my style. Welcome to my world of non-professional theatre in Europe. I have been the lighting guy for all of these shows and enjoyed every minute of it. I have had way too much fun creating spaces for characters to inhabit. A surreal bedroom or a 1930’s Jazz Club, an imagined beach or a London underground train. They are all possible with a bit of “light” thought. You don’t have to be on-stage to get that showbiz buzz! I am currently looking for pictures of shows that I can put up here without upsetting any copyrights. WULF! background image © 2016 Stephen Challens. An English Comedy Club production. To be performed on the 18th to 20th January 2019 at the Centre Culturel d’Auderghem. The journey to Sherwood Forest has begun. ECC are proud to present Robin Hood and the Babes in the Wood which will be performed in Auderghem Cultural Centre from January 18-20, 2019. Having been left out in the cold by my previous service provider, I have taken the opportunity to ‘rebuild’ my hobby site. So now I’m using WordPress and this site is being hosted by OVH.com. I thoroughly recommend them both. Meanwhile, stuff keeps getting added here as I transfer my archives to their new home. Be patient young Padawan. A few pages of random nonsense. 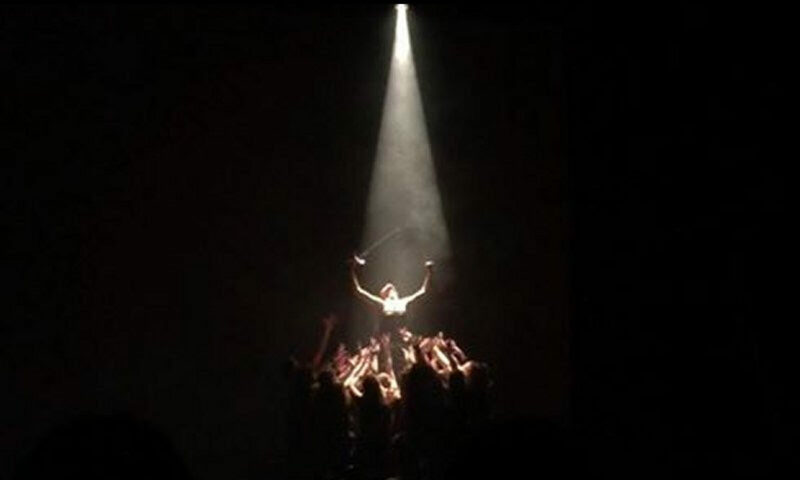 Living, working and playing in the Grand Duchy of Luxembourg, you will often find me planning, rigging and running lighting for the many and varied non-professional theatre groups in Luxembourg, Europe and the UK! I often forget to take photographs of these wonderful shows, so if you have any pictures that you would be willing to share, please let me know. These pages offer a small (but perfectly formed) insight into my life. Or go to the About page and to add a comment.